Understanding Yourself and Others: The TA 101 is a powerful and transforming experiential workshop. 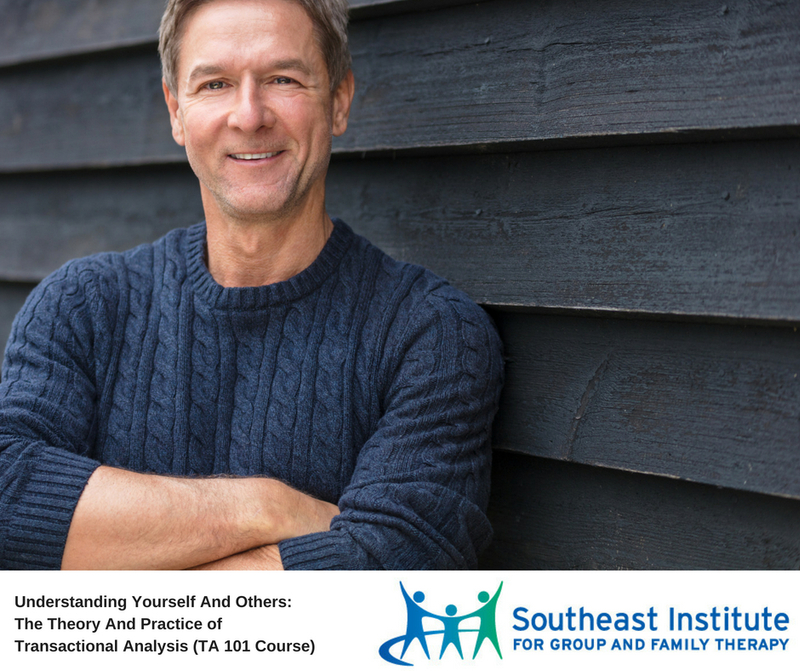 This workshop offers a comprehensive introduction to the theory and practice of Transactional Analysis (TA). Redecision therapy, as developed by Bob and Mary Goulding, combines TA and gestalt therapy into a powerful framework for working with clients. TA, as developed by Eric Berne, M.D., is both a theory of personality and human interaction, and a method of psychotherapy, counseling, organizational analysis, and educational consultation. It is a powerful resource for understanding yourself and others. This course will provide an in-depth new perspective for understanding human behavior within a framework that makes sense. Vann Joines, Ph.D., presents the TA 101 as a combination of lecture, group discussion, experiential exercises, and fun. The material and presentation offer participants a journey into understanding self, other, feelings, relationships, life patterns, and so much more! Dr. Joines is a Certified Teaching and supervising Transactional Analyst in the International Transactional Analysis Association. He is a licensed psychologist with more than 40 years of clinical experience. This workshop is designed for psychotherapists, including licensed professional counselors, licensed social workers, licensed psychologists, marriage and family therapists, nurse practitioners, psychiatrists, and others in the mental health fields. Note: Participants are encouraged to register for the Weekend Intensive Personal Growth Marathon as well, in order to experience how the theory is applied in facilitating personal change. Together, these two workshops, one primarily informational and the other primarily experiential, combine strengths to offer lasting change. Disclaimer: Vann Joines, Ph.D., benefits from the sale of his book TA Today. Purchase is not required.